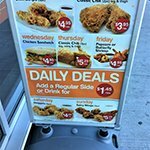 Take your business to another level with high-quality, affordable commercial signs and graphics by your local Etobicoke sign company, Complete Signs & Graphics! As your leading local signage manufacturer, we provide expert assistance throughout your signage project, right here in our Etobicoke sign shop. We handle every element of your business signage project, including sign design, fabrication, and installation. 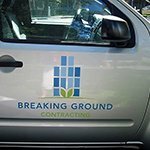 We complete all of our work using environmentally friendly practices and methods, utilizing the latest equipment and high-quality materials in order to provide you with the signage that will get the job done! The signs that you use for your business not only tell your potential customers about who you are as a business, but also what they can expect regarding the quality of your products and services. 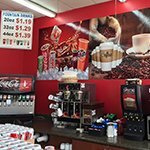 You work hard to make sure your brand, products, and services improve your customer’s lives, and Complete Signs & Graphics works hard to ensure your commercial signage reflects that dedication. We make it easy for you to assist your customers as they navigate your facility, looking for the products or services you provide so you can focus on doing what you do best, running your business. Let Complete Signs & Graphics help you take your business to the next level with our attractive, high-quality signs and graphics! 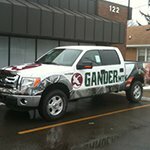 Call Complete Signs & Graphics today at (647) 484-3889 for your Free Consultation with a Signs & Graphics expert! 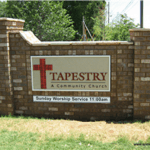 Complete Signs & Graphics crafts custom signage that helps you accomplish your business goals. Whether you want to improve the customer experience, increase sales, or build brand recognition, we can help. During your free consultation, our experts will discuss what your business goals are and hand-tailor a solution to fit your unique business, brand, budget, and goals. We are dedicated to ensuring that the signage you use gets your business noticed, makes it easy for your customers to understand who you are and what you do, and allow you to provide the assistance your customers want with minimal staff involvement. From eye-catching vinyl signs to attractive promotional flag signs, yard signs, banners, A-frames, and more, we ensure that you have the tools you required to get your brand remembered and business noticed so you can continue growing your business! 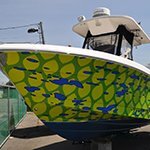 At Complete Signs & Graphics, we know that your business is unlike any other. From your unique brand to the products or services you offer, your business is defined by what you do and who you are. So how do you let your potential customers’ know that you have the products or services they need and are ready and eager to help them? 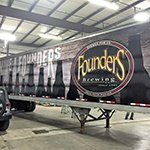 By investing in custom commercial signage by Complete Signs & Graphics! Custom signage means that you get the right sign for your brand, business, and needs. 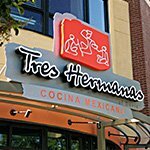 Whether you are a restaurant, manufacturer, contractor, service provider, office building, non-profit, retail store, government, school, or any other business type, we are unwavering in our goal to ensure that you have the perfect sign for any signage goals you may have. Only professionally crafted business signs and graphics can accurately reflect your hard working business and brand. Professionally made signs show not only the professionalism of your business but also the quality your customers can expect from your services or products, so show your potential customers that you are an expert in your industry with attractive signs by Complete Signs & Graphics! 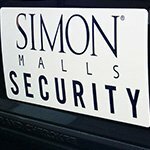 Increase brand recognition and customer foot traffic with eye-catching, high-impact exterior signs and graphics by Complete Signs & Graphics! From towering pylon signs to attractive illuminated channel letter signs, eye-catching A-frame signs to engaging window displays, we can create all of the signs you need to get your business noticed. Your goal of attracting, converting, and ultimately retaining customers begins with your business storefront. Your storefront is typically the first place potential customers learn about your business. This means that the information it provides needs to be attractive, informative, and promotional. 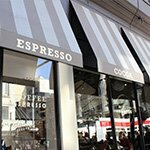 Many businesses will require a storefront building sign, such as an awning, channel letters, dimensional letters, or hanging signs to introduce their brand. Door signs provide essential information such as your hours of operation, while window displays let your customers know what you have to offer. 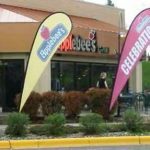 Flag signs, A-frames, or banners are ideal for promoting special deals or offers. 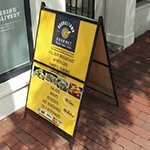 With the right combination of impactful exterior signage elements, you can turn a potential customer into a returning one. 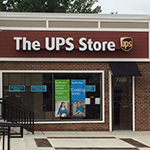 At Complete Signs & Graphics, we will ensure your storefront does just that. 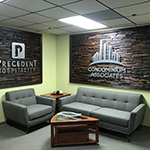 Improve employee productivity, increase your sales, and support your customers as they navigate your business with attractive, impactful interior signs by Complete Signs & Graphics. 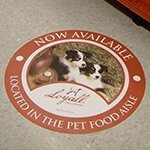 Whatever your signage goals may be, we have the custom signs and graphics needed to accomplish them! 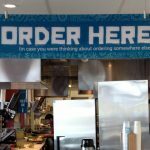 The specific blend of interior signage you need is determined by your physical layout, legal requirements regarding signage, and your unique business needs. 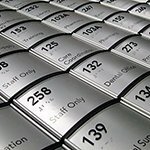 From safety signs to promotional product displays, wayfinding signage, and motivational murals, our experts will advise you on the perfect elements to meet your specific needs. We handle every component of your signage project beginning with your free consultation through to the final installation of your completed elements, ensuring your signage elements are cohesive with your brand, professional, and targeted at supporting your business goals. 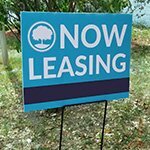 Complete Signs & Graphics offers on-site evaluations to help determine precisely what signage elements will best fit your space and business. We look forward to assisting you in creating an attractive, productive workspace. 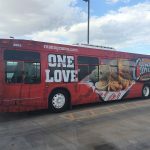 When you want to increase your brand, products, services, or business visibility, there is no better advertising tool than high-quality vehicle wraps and graphics! 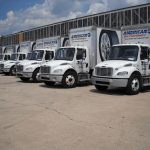 As your local Etobicoke signs and graphcis company, Complete Signs & Graphics, we provide complete fleet wraps services from attractive design through attentive installation on every vehicle type, including tankers, semi-trucks, buses, ATV’s, RV’s, and more! 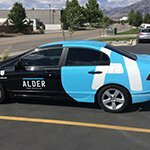 Our wrap services not only offer a protective layer to your vehicles, they also promote your brand and business everywhere your vehicles go, whether on the job, heading home, or parked in your own lot. 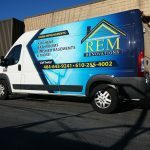 Contractors, food trucks, delivery vehicles, and other professionals rely on their vehicles to identify their business and promote their brand; however, they aren’t the only ones who can use branded vehicle wraps, graphics, and magnets to get their business noticed. 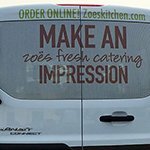 Every business can benefit from the increased exposure an eye-catching, targeted wrap has to offer. 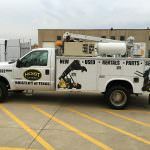 Complete Signs & Graphics understands that in order to find a sign that genuinely reflects your hard-working brand and needs, a custom sign is the only option that will work. 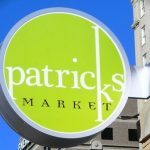 Your signage must be cohesive and complementary with not only your brand but also your location, needs, timeframe, and budget. Complete Signs & Graphics takes all of these items into consideration when recommending the best custom signs to fit your needs. 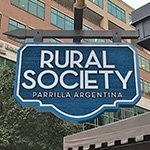 Whether you want a branded lobby sign or an attractive storefront sign, or want to create a unique graphic, we will handle your project every step of the way to ensure your vision is realized. 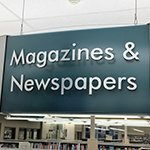 Specialty signage allows you to create something that fits your unique brand and business. From adding lighting elements to carving, burning, etching, or sandblasting most mediums, we make sure that your custom sign truly stands above your competition. As a leading sign manufacturer, we create the custom signs you need to increase brand awareness and customer traffic. 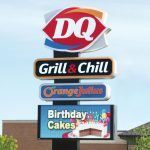 Whether you need a single sign or an entire blend of commercial signage, Complete Signs & Graphics is here to help you achieve your goals. 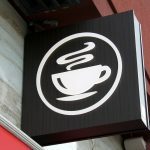 Very few sign fabricators offer the complete package, offering support throughout every stage of your signage project. As your one-stop sign shop, Complete Signs & Graphics provides a comprehensive range of signage services, so you don’t need to go from one company to the next for design, manufacturing, and installation assistance. Everything you need is right here in our local Etobicoke shop; we even provide repair and maintenance assistance! It all starts with your free consultation. We work with you to get a firm understanding of your specific signage needs and business goals. Getting an early insight allows us to make smart recommendations that fit your needs, including selecting the right sign types, materials, and placements based on your specific location, budget, and timeframe. Our consultants work directly with our design team to ensure that the vision you portrayed is the one captured in the final design. With custom signs, you have complete editing control over your design, allowing you to change everything from the text to the image, style, fonts, and colors. After all, this is your project and we want to ensure complete satisfaction. 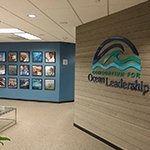 Complete Signs & Graphics focuses on producing environmentally sustainable signage products by utilizing efficient business and manufacturing practices. By utilizing state-of-the-art equipment, environmentally friendly materials, and proven manufacturing practices, we can reduce material waste and conserve energy whenever possible, allowing us to save you time and money. 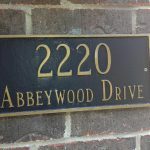 Additionally, all required elements for installation are provided by our expert sign installers. Do you have a damaged, old, or outdated sign that needs repairing or removed? 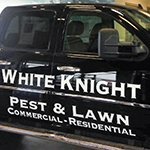 Our sign repair experts will assist you in understanding what option best fits your unique situation, whether that is sign repair, element replacement, or sign removal. From letters that aren’t illuminating to signs that are starting to show their age, we ensure that your existing sign is as good as new in no time. When you need a trusted partner for sign removal or repair, look no further than Complete Signs & Graphics! 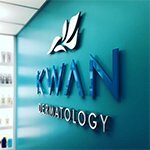 If you need quality custom signage done for your business, then we’re your partner. We look forward to being your go-to sign shop for all of your signage needs. 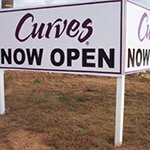 As a leading sign fabricator, we have a wide selection of sign options, from attractive storefront signs to engaging window displays and everything in between. If you or your team has any questions about our sign production process, our signage experts are always ready and eager to assist you! 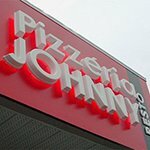 As your local Etobicoke sign company, Complete Signs & Graphics, we know that high-quality, eye-catching business signs can and will have a vast impact on your ability to attract and retain customers and clients for your business. We are committed to your satisfaction throughout every stage of the sign creation process. We provide experienced design, fabrication, installation, maintenance, and repair services for all of your signage products. If you aren’t completely satisfied with your sign for any reason, we will do everything we can to make it right for you. 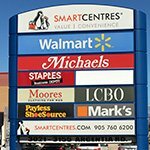 When you need a dependable Etobicoke signage partner that will deliver the solutions your business needs, Complete Signs & Graphics is the right choice! Contact Complete Signs & Graphics today at (647) 484-3889 for your Free Consultation with a Signs & Graphics expert!